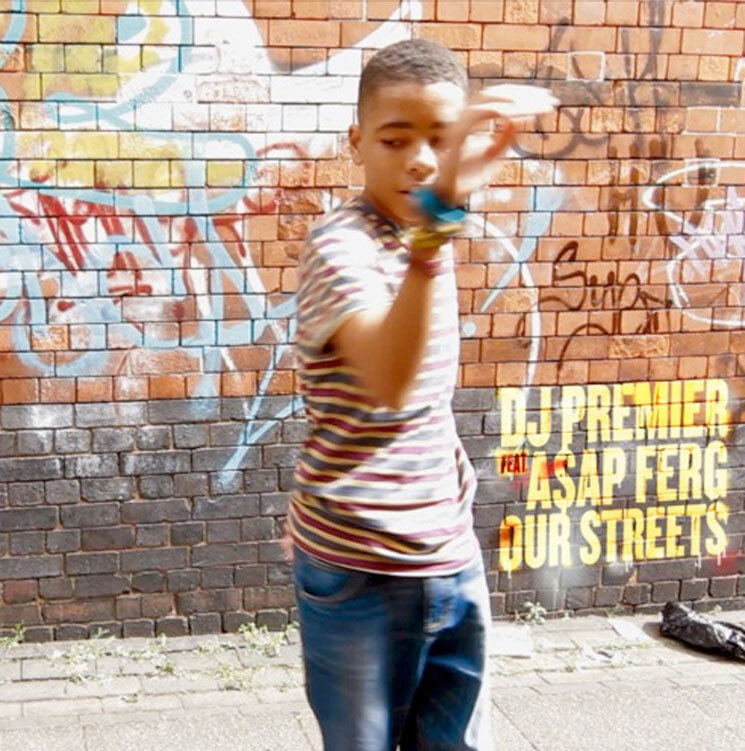 Following a relaunch of iconic hip-hop label Payday Records, DJ Premier and A$AP Ferg have teamed up to give the imprint a new track. Called "Our Streets," the track mashing up the old-school with the new can be heard now. As a press release explains it, "'Our Streets' is a true New York hip-hop track, combining DJ Premier's signature beats and A$AP Ferg's versatile style to create a classic, raw and energetic sound." In a statement, Ferg himself added, "It's a dream to be able to work with the legendary DJ Premier on this record. Preemo has worked with all the NYC hip hop icons and greats — Nas, Biggie, Guru, Hov, KRS-one, and the Lox. Just knowing I was working with him pushed me as an MC." Premier, meanwhile, said, "With Ferg, or anybody I work with, they already know my history so they know that I come from the '90s era. Ferg just automatically said 'Don't do what I've been doing on my albums — I want you to do a Preemo style and let me show I can rap to that,' so I was like 'let's do it.' Everybody was happy off jump — no suggestions, no 'I think we should go this direction' — it was an automatic in, out, done, in one day." You can hear the results for yourself by giving "Our Streets" a spin below. For the unfamiliar, Payday Records was originally founded in 1992 and was the first label to sign JAY-Z. Other artists signed to Payday throughout the '90s included Jeru the Damaja, Mos Def (via his first group U.T.D. ), Showbiz & A.G., Group Home, Guru and more.